Rochester, MN has a great selection of restaurants committed to delivering delicious meatless and plant-based entrées. Better still, these fantastic restaurants are locally owned and operated and completely unique to our city. Be sure to hit these 10 wonderful vegetarian destinations in Rochester, MN! Tonic is prepared to deliver a one-of-a-kind dining experience. From a comforting family meal to an array of appetizers, Tonic serves hearty breakfasts, wraps, salads, and soups to fit your needs, including vegetarian, gluten free, nut free or dairy-free dishes. Tonic is the place to go for delicious juices featuring fresh fruits, berries and veggies. If you’re looking for good food that is good for you, head to Tonic. For way more than coffee, check out Old Abe’s. Starting out selling coffee from Abe’s signature Dutch-style tricycle that he built himself, Abe now has expanded his business to add a family-friendly neighborhood cafe featuring a selection of coffee drinks and other beverages, local beers, and delicious vegetarian food. Regulars at the cafe near Cooke Park swear by Abe’s infamous Vegan Banh Mi! Old Abe concocts many of his beautiful vegan and vegetarian dining options using meat-free, plant-based offerings from Herbivorous Butcher in Minneapolis. Forager embraces a casual dining approach and invites you to enjoy a relaxed family-friendly restaurant experience in Rochester, MN. They offer a full menu of vibrant dishes made from the freshest seasonally available ingredients inspired by our bountiful region. Try their house special Cast Iron Mac and Cheese or the Pad Thai. Discover a new favorite each time you visit as the menu changes to integrate the most recent harvest from their numerous local farming partners. Twigs Tavern and Grille offers a large array of unique entrées in the small plates tradition and is well known for its Hot Rock Grilling. 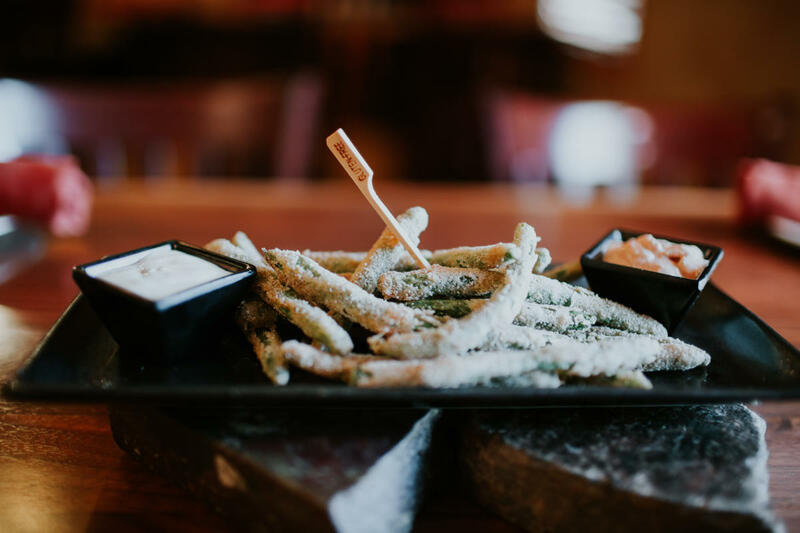 For those with dietary sensitivities and food allergies, Twigs’ dedicated gluten-free kitchen lets patrons rest easy with prep, grill, and fryers. Twigs has received numerous awards from Rochester Magazine including Best Outdoor Dining and Best Vegetarian Meal. Housed in a rehabilitated downtown Rochester building, Bleu Duck Kitchen made a splash on the Rochester dining scene with its focus on an ever-changing menu of innovative American cuisine. Menu items emphasize locally grown produce, in-season fare, and exciting vegetarian options such as innovative risottos with exciting flavor combinations, house-made ramen and more. 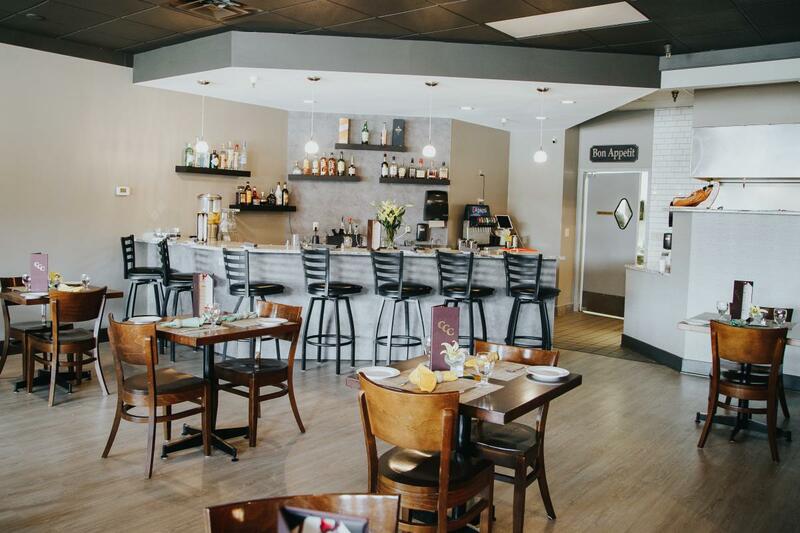 Centrally located in downtown Rochester on Broadway, Terza is an Italian restaurant dedicated to celebrating the bountiful flavors of Italy with friends & family. Popular vegetarian options include the handmade Gnocchi and the Tagliatelle Wild Mushroom. All of their recipes, from fresh pasta to mouth-watering desserts, are hand-crafted in-house with love. People&apos;s Food Co-op is well known as a consumer-owned natural foods store promoting healthy, sustainable, and cooperative living. But did you know PFC’s deli offers taste sensations from around the culinary world? Stop in for familiar favorites like Greek feta salad, garlic lover’s pasta, blackened tofu steaks and grain salads like barley almond. There’s something for everyone. See something that interests you, but you aren’t sure you’ll like it? Don’t hesitate to ask for a sample…they are happy to give you a taste! Casablanca is a family-owned and operated bistro featuring New American, French, Greek, Mediterranean, Italian, Vegan and Vegetarian cuisines. Settling into their new location at Barlow Plaza, Casablanca offers a variety of select brews and house wines as well as a Tapas bar. Foodies are loving this special place! Consider ordering the Paella with an Italian Twist or the Beet Salad for a truly unique vegetarian dining experience. With large portions from a huge menu, Victoria’s is another Rochester, MN dining destination focused on scratch-made dishes from fresh ingredients. Offering many different appetizers, salads, entrées and decadent desserts, all items are accompanied by an extensive wine selection as well as a broad selection of beer and mixed drinks. Regulars swear by the Eggplant Parmigiana and the Mushroom Passion for an excellent vegetarian dinner experience. With two Rochester,MN locations, Nupa serves a variety of healthy Mediterranean foods featuring bold flavors, fresh ingredients, and homemade recipes. From tasty falafel, hummus and pita to horiatiki salad, the vegetarian options at Nupa are numerous! Update: Bar Buffalo, which opened in October, 2018, offers a full selection of food, including a vegan menu with items like vegan tube steaks, crabless crab cakes, and more. Explore more dining options in Rochester, including downtown dining, new restaurants, and only-in-Rochester cuisine. For true local flavor, visit the Rochester Farmers Market.